Glitter Grammy Plays With Paper: Christmas Is For Kids....and the Kids in all of us! Christmas Is For Kids....and the Kids in all of us! Another month has come and gone and we are edging ever closer to Christmas. When my kids were little, they started their Christmas Lists around this time. Of course the list changed daily, but it was always an important part of the Christmas ritual. As a child I remember how slowly the days ticked by, and with each passing day how excited I'd be thinking about Santa and maybe being able to catch a glimpse of him as he put gifts under the tree. 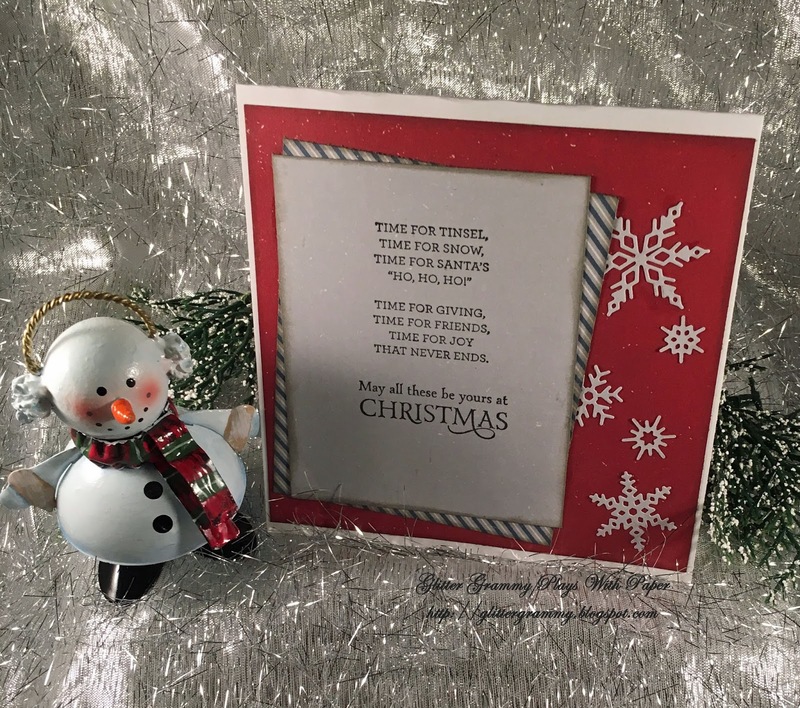 This month the Sparkles Christmas Challenge theme was chosen by Sybrina. And she would like to see Kiddie Cards. I chose this stamp from All Night Media - Hug for Santa. 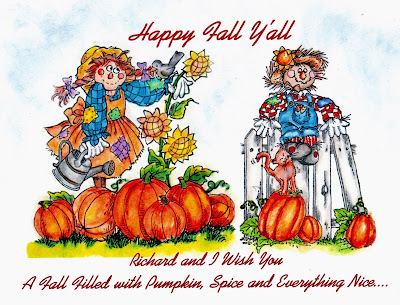 This stamp was fun to color and gave me much playtime with my pencils. 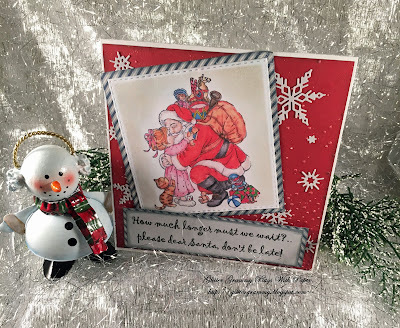 For the inside I chose stamps from StampinUp the Versatile Christmas Collection. I'm not sure of the paper collection, as it was part of a traded collection from a friend.